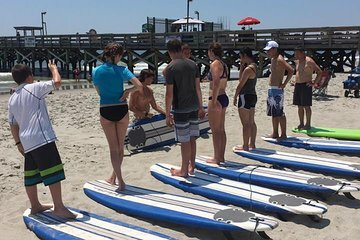 While enjoying the fun and sun in Myrtle Beach, take some time for a lesson in surfing, tailored to fit all ages and skill levels. Learn the basics of proper form and ocean safety from a professional surf instructor that is both CPR- and first aid-certified. After some stretching, head to the water and discover how to paddle and catch waves. The instructor remains in the water through the end of the lesson, making students feel at home while attending to every learning need.